Recent attacks and counter-attacks in the long-running Syrian civil war have claimed the lives of several top fighters and commanders on the side of the government regime—at least two of them Iranians. And the death of one Iranian officer in particular has resulted in a major intelligence coup for rebel forces. 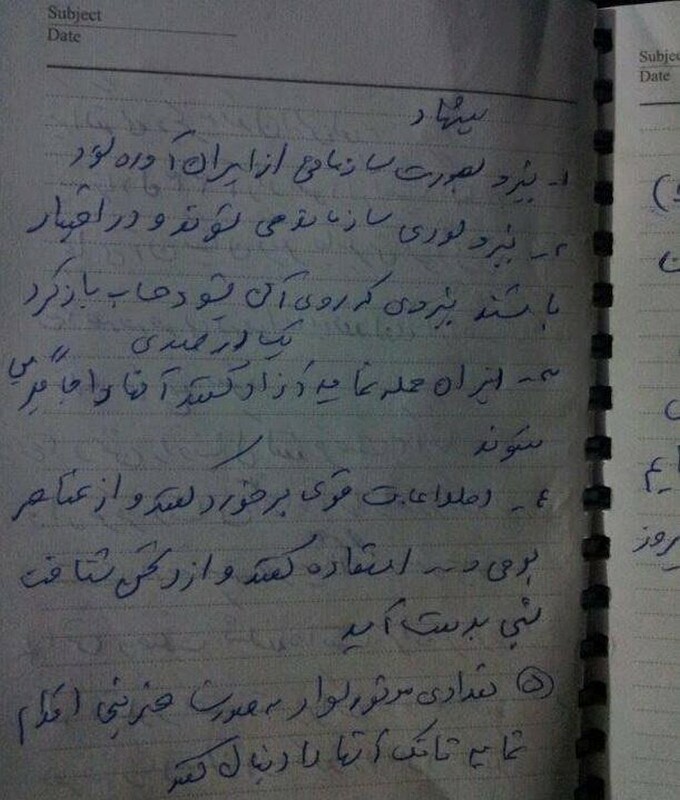 They found among the officer’s possessions notes detailing the regime’s command and manpower problems. Gen. Abdullah Eskandari was the former head of veterans’ and martyrs’ affairs in city of Shiraz in Iran. He was apparently part of Tehran’s secretive force fighting in Syria on behalf of embattled president Bashar Al Assad. Some time in late May, a sniper reportedly shot and killed Eskandari near Damascus. Rebels decapitated the general’s body and put his head on a spike in order to pose with it in photos. Not long after, the opposition published the contents of a notepad they claimed they found in Eskandari’s kit. The pad doesn’t mention that its contents are classified, nor does it carry an official seal. However unofficial, the notes seem to confirm the infighting and manpower shortages the observers have long suspected of plaguing the Syrian regime and its Iranian backers. The first page of the notepad describes the four major Syrian intelligence—Political Intelligence, Military Intelligence, Air Force Intelligence and Government Intelligence. All four are independent … and all four report directly to Al Assad. According to Eskandari’s notes, competition is fierce between the agencies. The pad’s second page pays special attention to Hama province in north-central Syria. It states that 13,000 rebels are active in the five districts. The regime can muster only a few thousand paramilitary soldiers and a small army contingent to contest the province. The paramilitary National Defense Force in Hama includes five brigades of 1,000 men each, according to the notes. 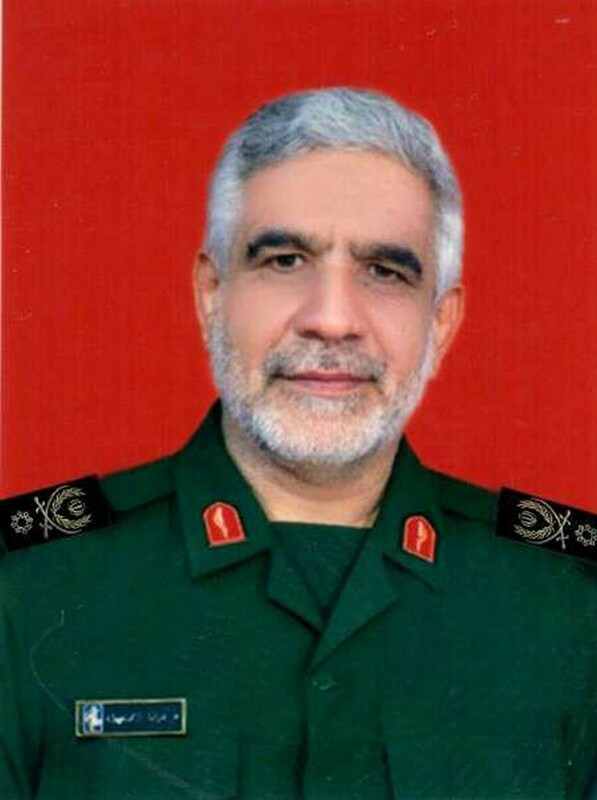 Iran’s Revolutionary Guard Corps directly organized one of the brigades, Eskandari reveals. “For 10 months after we started here, we didn’t have any real power, but now they [the Syrian regime forces] are paying attention to us,” the general writes. The header on the third page reads, “Syrian army dissipation and disintegration!” The general recommends that paramilitaries should replace the regime’s 33rd Infantry Division in manning checkpoints—and that the 87th and 35th Divisions have left Dara’a, near the border with Jordan. Manpower is so short that Eskandari recommends reducing the number of fighters at each regime checkpoint. In particular, the general’s notes describe loyalist forces in Dara’a as fragile. He suggests that regime troops should go on the offensive rather than remaining in static positions, where rebels can easily target them. “In this state, as time passes the defenders would be weakened—and no army can endure such a situation,” Eskandari warns. The fourth and last page suggests several measures for defeating the rebels. It recommends line-breaker units to crack open opposition defenses. These line-breakers should come from Iran, Eskandari advises. After the line-breakers clear a rebel area, Syrian troops could come in behind them and set up new positions. The general’s last and most interesting recommendation is how to counter the rebels’ anti-tank guided missiles. The briefing recommends fast-moving troops sweep ahead of the armored vehicles to suppress missile teams. This tactic has worked before. During the Iranian-led regime offensive in the Qalamun Mountains norther of Damascus, Hezbollah formed pioneer groups riding on motorcycles and lightly armored all-terrain vehicles. The pioneers advanced under artillery and tank fire, which suppressed rebel snipers and machine guns. The pioneers got close to rebel lines … and stayed there. Their fire kept the rebel missile teams from moving into positions—and that allowed Syrian tanks to safely advance. The regime succeeded in pushing the rebels out of the mountains. But the same tactic didn’t work in Dara’a. The pioneers—apparently Syrians this time—weren’t able to sustain close combat and often retreated before heavy armor could arrive. The open terrain didn’t help, as it exposed the pioneers and the tanks to heavy fire. Loyalist forces lost at least 15 armored fighting vehicles to rebels during the recent operation in Dara’a. Eskandari’s notes reveal significant weaknesses inside the Syrian-Iranian-Hezbollah alliance. Despite Iranian officials having bragged about forming 37 brigades to aid the Syrian regime, manpower remains a big problem. Damascus’ forces are unreliable. And there aren’t enough Iranian and Hezbollah troops to prop up the Syrians.